The Queen felt recovered enough from her heavy cold to attend church today. It marks the first time she’s been seen in public since 20th December. We are truly breathing a sigh of relief. She was joined by the Duke and Duchess of Cambridge as well as the other members of the Middleton Family. 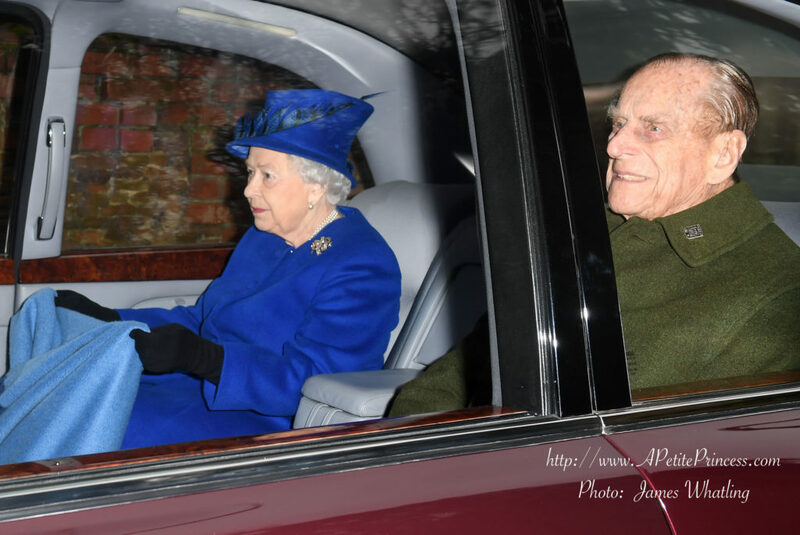 The Queen and The Duke of Edinburgh attend Sunday Service at St Mary Magdalene Church, Sandringham, Norfolk, UK, on the 8th January 2017. It appears that the Duke and Duchess were hosting a large group of friends for Catherine’s birthday again this year. The Queen looked lovely in a bright sapphire blue and her hat had cute little mini-peacock feathers. Pippa looked really stylish in a brown coat and matching fedora. Catherine, well she mixed some old and new wearing her green SportMax Long Belted Coat with a new hat and new scarf from LK Bennett. The Duke and Duchess of Cambridge attend Sunday Service at St Mary Magdalene Church, Sandringham, Norfolk, UK, on the 8th January 2017. The Duke and Duchess seemed in good spirits as they walked the path that leads from the church back to Sandringham House, they laughed and spoke to members of the public who had made the trip. I know that today’s post is short and to the point, but honestly I am just so glad to see Her Majesty is on the mend and well enough to attend services that there are not many other thoughts that are being allowed to form in my head at this time.